Acquired from the above by the great-grandfather of the present owners on 19 May 1914, and thence by descent. 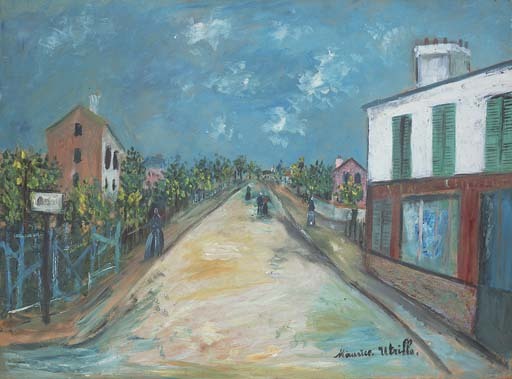 P. Pétridès, L'oeuvre complet de Maurice Utrillo, vol. V, Paris, 1974, no. 2599 (illustrated p. 179; incorrectly dated circa 1916-1917). Paris, Galerie Schmit, Tableaux des maîtres français 1950-1955, May - June 1973, no. 50 (illustrated in the catalogue p. 66).